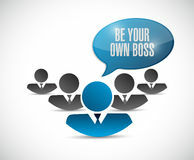 3 Key Factors That Can Prevent You From Becoming Your Own Boss. Most of would be entrepreneurs still dwell in the past, building up fear in their heart of their business failing and so will not want to start any. Everybody have that fear of one thing or the other but successful have recognized that without starting failure will not occur and that failure will serve as a motivation for them to wanting to succeed. The fact is that no human being is perfect or an expert in anything except with the person tries and also learn and practice. What the world want to know is if you have succeeded? Thomas Edison failed thousand times but with determination to succeed he is a man of good history today. Cars, Electronic gadgets, mobile phones etc never came to be the way they are, the producers did some mistakes, trial and errors before they arrive at what we have today. You have that great potential in you and what you need to do is to bring it out and don't let it die inside of you. You have to nurture your ideas and dreams into reality. Everybody have that fear even i have it too but i have learned how to turn this negative fear into positive fear. This positive fear will push you into action of starting that project. It is this positive fear that will remind you that if you are poor you will not achieve what you want in life, it is this positive fear that will inform you that if you don't start tat business now you may not have money to pay your bills and take care of the family so you need to get out there and start doing something positive. It is this positive fear that will motivate and inspire to think positive and act smartly. 2. Relaxing In Your Comfort Zone. Nobody can become rich working for another man. Your boss will always pay you just a fraction from millions you generated for his company. And i see lots of people sitting comfortably in their comfort zone as they expect "Bank Alert" every month. Let me tell you the truth, if you don't plan for your retirement today, then you are enslaving and killing your future. I have a client who was working with a bank, he told me about his interest in owning his own business, that he needed a business that can give him freedom , and he can attend to some other issues and make money. I gave him small business ideas he can start while still working and when the business is stable he can quit his daily job. Today, his business is growing with 5 workers and he is raking in 6 figures monthly. This is a man that earns 60k monthly, he sacked his boss after 1 year of launching his business. So, don't relax in your comfort zone, always think out of the box. 3. Negative Friends And Family. Some people today blame some members of their family and friends for business failures. Some friends and family are dream killers, they will try to talk you down from starting executing your idea. Nothing bad in discussing with your friends and family but don't buy into all their negative ideas. You have to know that, these people cant live your life and so you must do things that brings you joy. You have to know the type of friends you make, if your friends and family are not their to motivate you for success then get out from their group. I prefer having few friends that will inspire me for success than having bunch of them that will kill my dream. Just few years ago, when i discovered that some of my friends are not helping me to climb the ladder of success instead its always a drinking bar and nonchalant discussions that will not add value to my life,i decided to cut them off and stay far from them. This is because i want to create value for my life with my potential and resources available. So you need to change bad friends to good friends. Have faith in God, and constantly picture yourself as a CEO or see yourself as that particular person you want to become. If you can see it then you can have it, you need to dream big. Have a vision and build your business around your passion, get a good business plan to help you actualize your goal. These are important factors you need to be aware of, so you don't let them stop you from moving ahead to start your own business.